This week, I was surprised with tickets to see the musical Hairspray at the Sunderland Empire as an early birthday present. I literally had no idea as he’d booked tickets for the matinee performance and took me into town thinking i was going shopping. I absolutely LOVE Hairspray, i saw the film on the plane when i was coming back from the Maldives a few years ago and loved all the music and just how colourful it was. Hairspray is set in America in Baltimore in 1962 and follows the story of dance and fashion trendsetter Tracy Turnblad as she overcomes negative opinions about her size to dance on the Corny Collins TV Show. Its a storyline with a happy ever after ending as Tracy wins the heart of Link Larkin the towns heart throb. Along the way, Tracy helps to overcome discrimination because of her size which is something i can relate to, being a bigger girl, and she also aids integration of the black and white community in Baltimore and brings a love of RnB music to everyones ears. The leading cast vary depending on where you see the show but in Sunderland where i saw it, Les Dennis played the part of Wilbur Turnblad and Michael Starke played the part of Edna Turnblad (previously played by Michael Ball and Brian Conley). We actually got the opportunity to meet the cast afterwards and we chatted with Les Dennis and Michael Starke and had our photos taken with them. They were both really lovely but Michael Starke more so than the others as he really spent a long time chatting to us all. Hairspray is such a fab musical, i would urge all of you to see it. Tickets are a little pricey but they are completely worth the money. It is a show all the family can enjoy. There is literally something for everyone from the songs, to the hair and make up (which is absolutely amazing, big and backcombed, just how i like it!) to the dancing and acting. My boyfriend was even dancing and clapping along to my favourite song ‘You Cant Stop The Beat’ at the end of the show. Its not my birthday until the 26th but I’m hoping to get the DVD now…. hint hint! 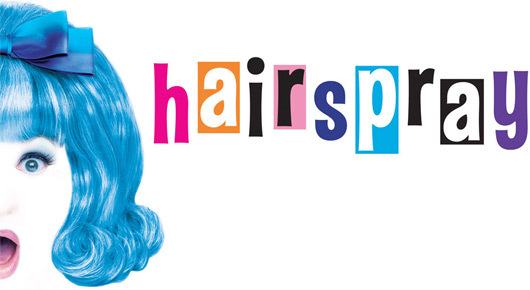 Have any of you been to see Hairspray? What did you think of the show? Previous Post Random Facts About Me Tag!